If you’re a resident of the city of Lombard, known fondly as “The Lilac Village,” you’re likely to be used to beautiful surroundings. If your home’s bathroom isn’t as beautiful as it should be, Bath Planet of Chicagoland is your best option for affordable and quality bathroom remodeling you’re guaranteed to fall in love with. 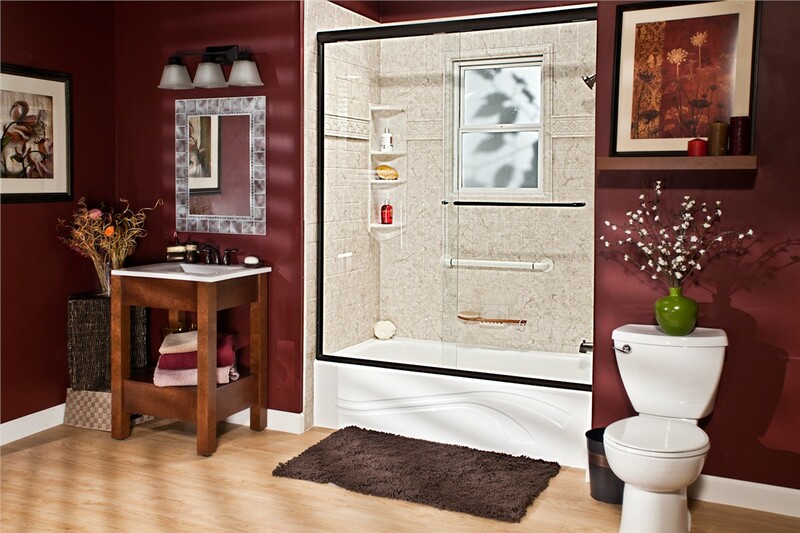 Don’t stress about climbing in and out of a slippery, high-walled bathtub or shower ever again! For those of us concerned with safety in Lombard, walk-in tubs are a wonderful option. Our beautifully designed, affordable Lombard bath conversions offer a safer, more convenient solution for our limited mobility customers. Walk-In Tubs: For accessibility and convenience, our Lombard walk-in tubs are loaded with safety features and easy to clean and maintain. 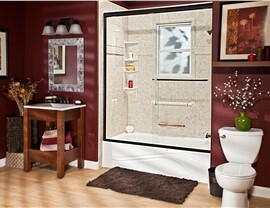 Barrier-Free Showers: Make your life easier with our gorgeous barrier-free shower designs. Step-In Inserts: A quick, affordable solution for adding ultimate accessibility and safety with our custom-fit, high-quality step-in inserts. Are you sick of spending hours and hours cleaning the grout and grimy surfaces of your bathroom walls? With our high-quality bathroom product installations from Bath Planet of Chicagoland, your brand new, Lombard replacement tubs or showers will be easier to clean than ever before—for a healthier, happier lifestyle you’ll love. Our showers and tubs are made with a triple-thick, extra-durable acrylic material designed to withstand the wear and tear of daily use. This non-porous acrylic lining will prevent dirt and grime build-up, while resisting mold and mildew. 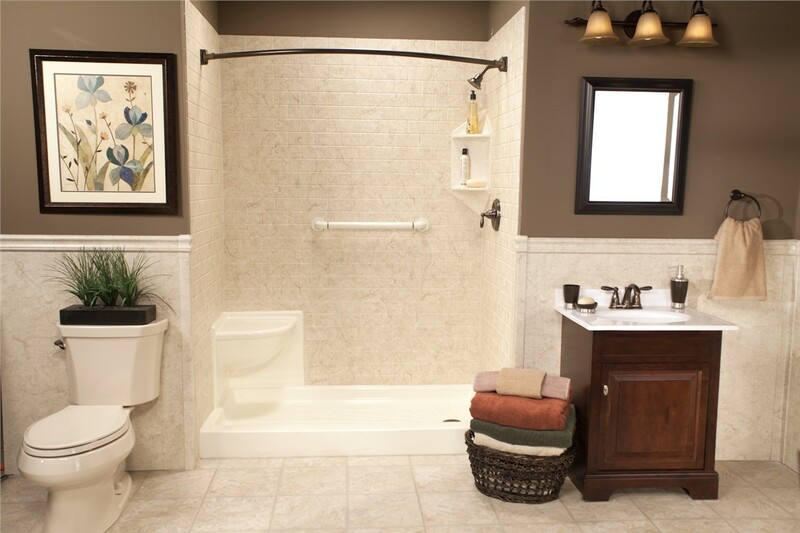 Best of all, our bathroom products are low-maintenance and easy to clean. You’ll only need a little vinegar and hot water to wipe down your new surfaces—no more harsh chemicals or hours of scrubbing! 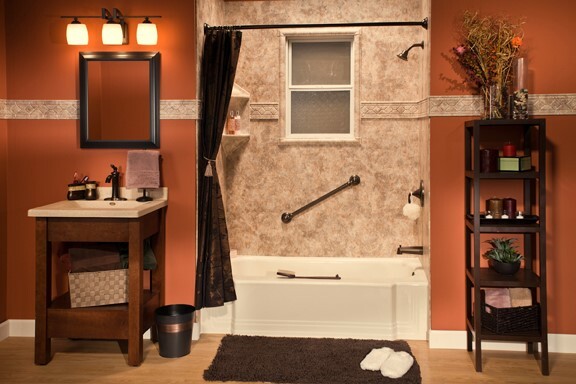 Bath conversion is a convenient alternative to expensive, time-consuming remodeling work. At a fraction of the cost of a traditional renovation, you can replace your existing shower or tub with the bath product you’ve been longing for—in as little as just one day. At Bath Planet of Chicagoland, our expert contractors utilize unique, innovative renovation techniques that make fast installation a possibility. 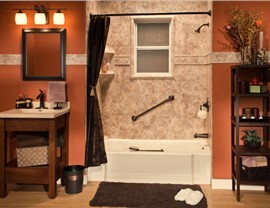 Best of all, our lifetime limited warranty on our bath products offers long-term protection of your investment. If you ever have a problem with your bathroom products, we’ll take care of it for you. 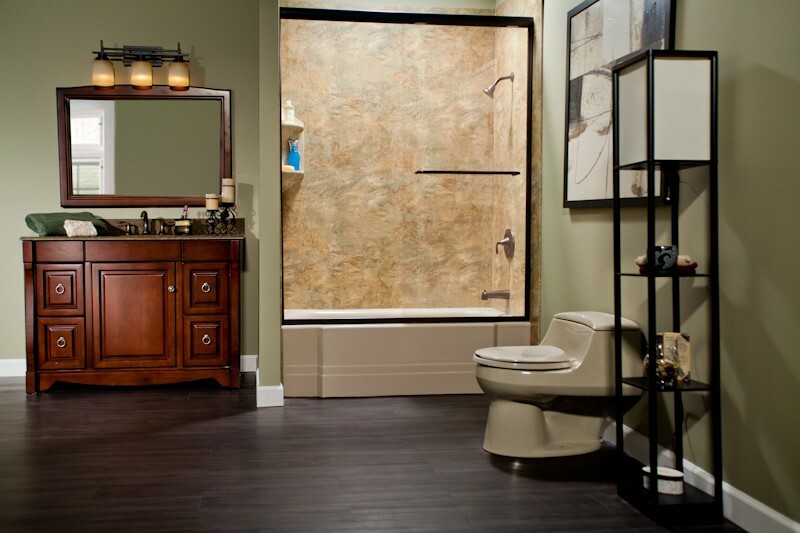 At Bath Planet of Chicagoland, our design consultants work closely with you to create the perfect bathroom according to your tastes, preferences, and lifestyle. You’ll be able to choose exactly what you want from our wide selection of products and accessories, patterns, colors, and textures, to customize the ideal bathroom you’ve always wanted. Whether your priorities are safety and security, or beauty and design—we’ll help you come up with a plan for the ideal bathroom that’s just right for you. 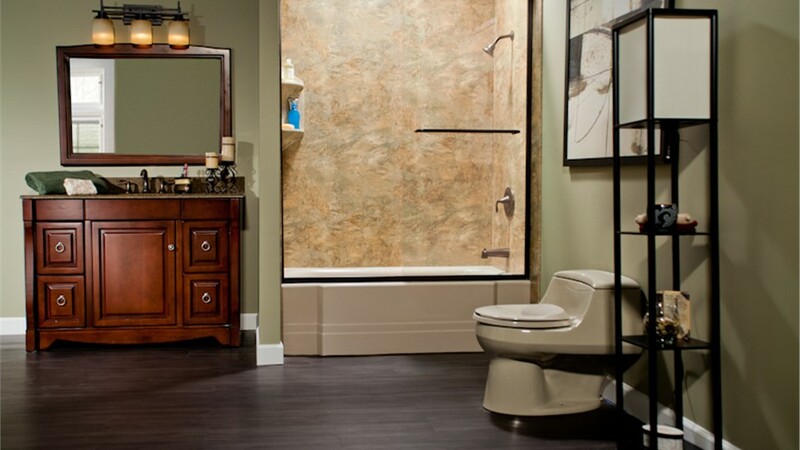 Your search for the best Lombard bathroom remodeling services ends here. When it comes to high-quality products, lightning fast installation, and friendly and helpful customer service, Bath Planet of Chicagoland is your best option. 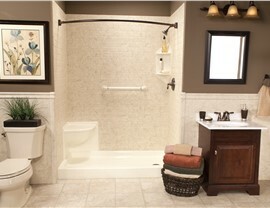 In as little as just one day, you can have the beautiful bathroom of your dreams at the most affordable prices in town. For more information about your home improvement project, call us to speak with a helpful representative or fill out our online form for a free, personalized quote.